At Millet Crepe on Sawtelle, You Can Add A Crème Brûlée On Your Crepe! - EAT WITH HOP! 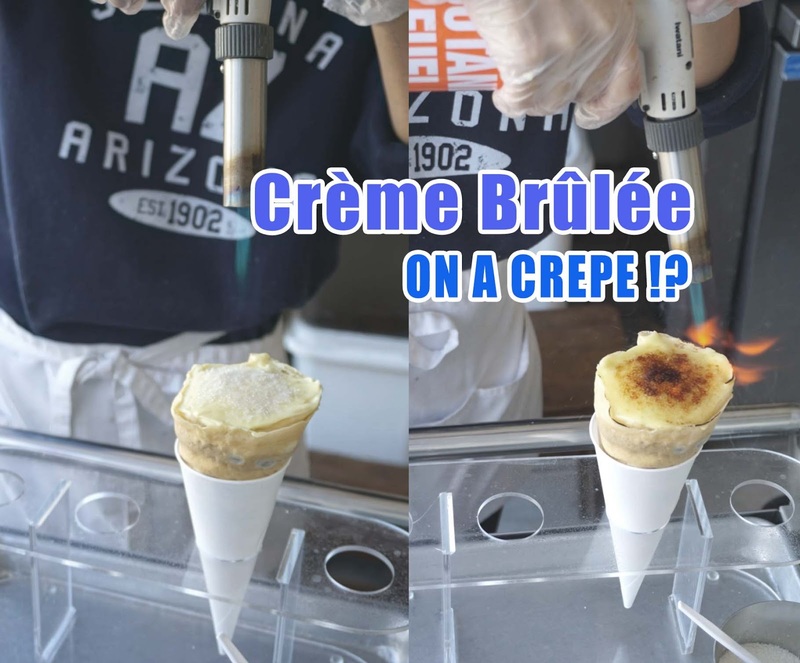 Home / CA / CREPE / DESSERT / FEATURE / JAPANESE / LA COUNTY / LOS ANGELES / At Millet Crepe on Sawtelle, You Can Add A Crème Brûlée On Your Crepe! Whoa whoa whoaaaaaa! This concept is so cool! I've never heard about it until recently, but this Japanese dessert shop called Millet Crepe in "Little Osaka" on Sawtelle Blvd in West Los Angeles adds a Crème Brûlée onto freshly made crepes! Sawtelle Blvd can sometimes be packed but luckily @EatWithNorma and I found free parking! If you didn't know, Sawtelle Blvd is this street that is sometimes called "Little Osaka" because it's a street filled with many Japanese shops and restaurants! There is a Japanese supermarket, Daiso and restaurants that sell Japanese curry, ramen, okonomiyaki, and more! Anyway, they sell lemonade too which Norma ended up ordering. Let me tell ya, DON'T ORDER THE LEMONADE. When we ordered it, they weren't even sure if they had any left. But they said they did, and gave us a cup anyway. I don't know if their lemonade is usually watered down but damn, this lemonade tasted like lemon infused water. It just straight up tasted like water. Millet Crepe, being a Japanese dessert shop, of course has to have daaat azuki bean! But I've never had azuki (red bean) with cream cheese before. I wonder how that would taste. Aside from the traditional flavors, they definitely gotchu covered with the creative out of this world crepes! Like..the CREME BRULEE CREPE! And also, birthday cake crepe which seems to have a bunch of cereal on it and chocolate dropper which has a pipette filled with chocolate! How cool is that! The custard crepe sounds interesting as well. I guess I'll have to make a trip back here! Here is the Millet Crepe dessert menu! The pricing for the crepes range between $6-$8. I WAS SO EXCITED AND COULDN'T WAIT TO DIG IN! side note: apparently their new thing is a hot creme brulee crepe. I wasn't feeling a hot crepe... and it didn't come with ice cream.... The worker recommended the cold one since it's better and has ice cream! YES YES GET IN MY BELLY! BUT FIRST PICS! Norma (@eatwithnorma) really enjoyed the custard cream! There is quite a thick layer of creme brulee on top and I love how the top layer (skin??) cracked so delicately. The creme itself was not too sweet and just perfect! It was light and fluffy too! What a hell of a surprise. I had no idea that besides the toppings I got, the crepe comes with cereal by default. LOL When I felt the crunch... I was like WTF I DON'T REMEMBER ORDERING CEREAL. I, however, enjoyed it! I do think that aside from the creme brulee on top, the crepe itself is quite average though. I prefer my Japanese crepes to be on the crunchy and thin side but this was not bad. I just had to post this selfie of us in here... DON'T WE LOOK CUTE OMG!!??? GO CHECK OUT HER FOOD BLOG AND INSTAGRAM Y'ALLS!! What a great adventure in Los Angeles! I'm so glad Norma and I stopped by Millet Crepe in Sawtelle. I JUST HAD TO TRY IT and I think it's worth to try at least once because the concept is so cool. The creme brulee creme is legit too! Just skip out on the lemonade... that was.... well underwhelming. Basically water with lemon flavor. When you choose your crepe, I recommend the cold version because it comes with ice cream! 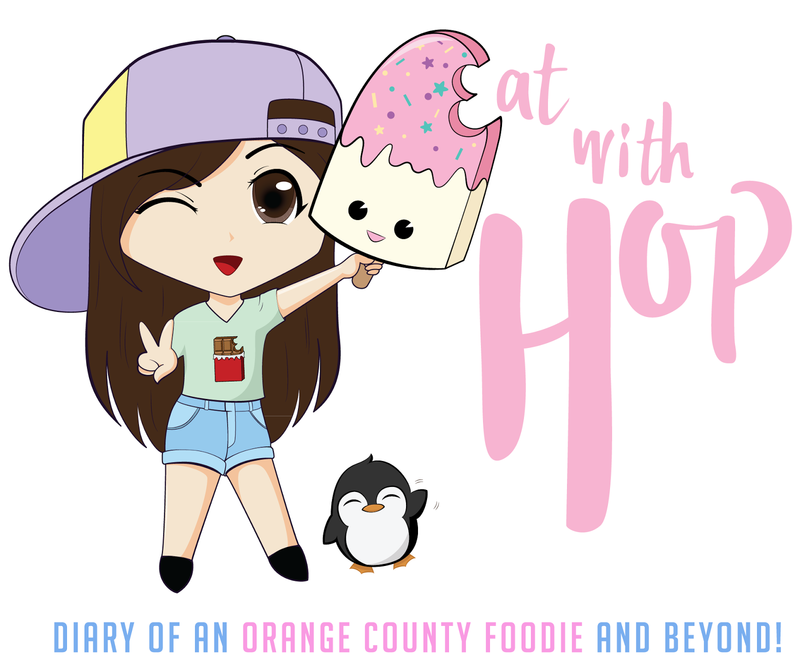 Check out my awesome friend Norma's blog! I really enjoy her company and listen to her talk about food. She is just so damn knowledgeable about food and great at describing food. Also, she can cook!